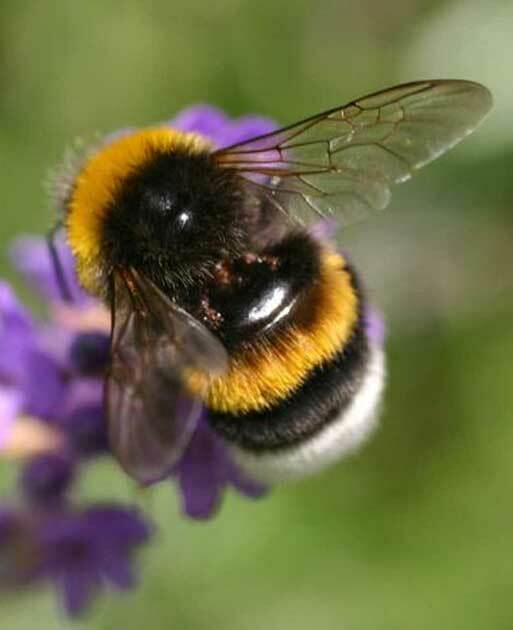 There are nineteen species of Bumble Bee in UK with six being recognised as common. As all bumble bee species largely share the same charactistics we will focus on the biggest – Bombus terrestris. Bumble bees are normally docile creatures and do not pose any major threat to humans – they can sting but are unlikey to do this unless you should disturb the nest. 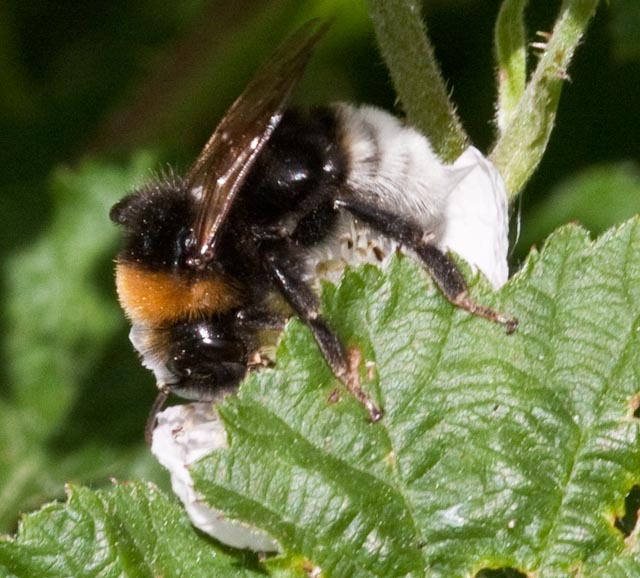 Reactions to Bumble Bee stings vary greatly, for some of us its comparable to stinging nettles, others suffer more with quite extreme localised swelling and in the worst cases Anaphylactic Shock. Anaphylactic shock kills approximately 12-15 people each year here in the Uk. If you are sensitive to bee stings and are stung, seek medical assistance immediately. If you are unsure as to how you may react to a sting it is advisable that you do not tackle nests and have them destroyed professionally. Although we advocate a live and let policy with all bee species whenever possible, there are occasions when a nest of Bumble Bees does need removing. 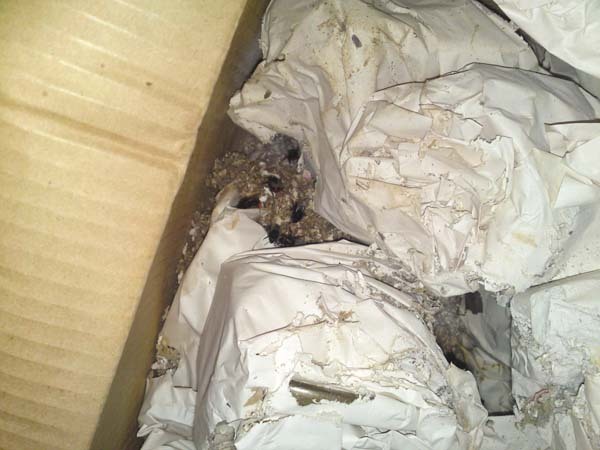 If possible (and this is usually only when in bird boxes) we may try and relocate the nest by carefully removing it and transporting them to a new area where they can live peacefully. 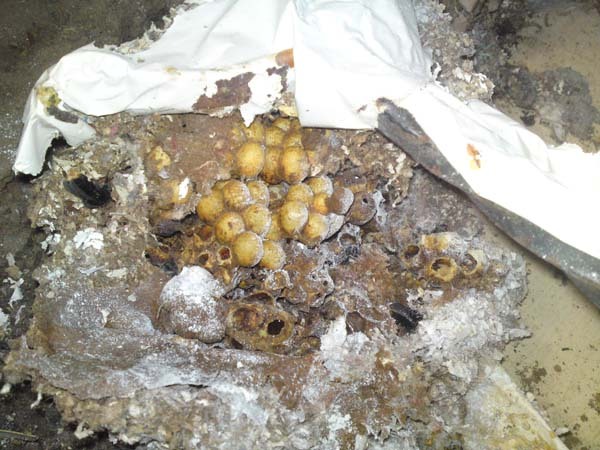 Relocation probably will not be a possibility, in which case we treat Bumble Bees as we would a wasps nest. This is acheived either by attacking the nest directly with insecticide or to locate the entrance point and allow the bees to take our insecticide into the nest themselves. Please note that Bumble bee treatments regulary require a follow-up treatment, we will discuss this with you at the outset and assure you that any follow-ups are free of charge. Fertilised Queens emerge in February and seek out nesting sites. Nests are often found in the ground, old mouse holes and mole tunnels. They are also quite partial to bird boxes and small holes in roofs. Bumble bees feed upon nectar providing flowering plants with a valuable service – pollination. Laying eggs in wax cells the Queen builds up a colony from 50 to 150 workers. Like with all bees, the bumble bee lifecycle comprises of four distinct phases, as an egg; which then hatches into larvae; which then pupates where its body is recreated so it can again hatch, this time as an adult bee. Towards the end of summer fertile females and males will emerge from the nest. Only fertilised Queens will survive through the winter. All the workers, males and original Queen die. The young fertilised Queens leave to find safe places to hibernate ready to emerge next spring and start the cycle again.